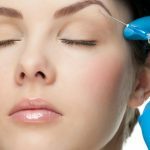 Anti-Wrinkle injections are a simple, safe and effective way to improve fine lines and deep wrinkles of the face. They work to relax facial muscles making lines and wrinkles, such as crow’s feet and frown lines, less obvious. Muscle relaxing injections can be tailored to your face, offering you an effective and far less invasive treatment choice to smooth away lines and wrinkles. The result is a softer, younger and more rejuvenated appearance. Clients will be assessed for their suitability for the following treatments at their consultation. 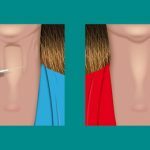 The neck and jawline are two areas most noticeably affected by ageing. 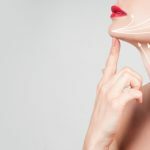 This rejuvenating treatment sometimes known as ‘Nefertiti neck lift’ involves relaxing the muscles in the face & neck that pull downwards, allowing a subtle lift & tightening of jaw & neck. 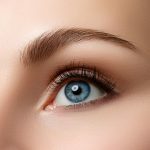 The brow lift is achieved by relaxing specific muscles at the edge of the eyebrow, giving you a subtle lift & more ‘awake’ appearance – great pre-holiday or for those special occasions. A technique used to reduce size (bulkiness) of masseters, resulting in a more contoured & slimmer face shape. A wide jaw that creates a square shaped lower face, is a common problem. While the square jaw may be desirable in men, it is not considered feminine & women often desire a more oval or heart shaped face. 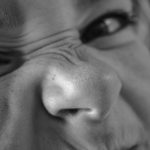 If you place your hands at the angle of your jaw as you clench your teeth down, you will feel the bulging and hardness of a muscle. This muscle, called Masseter muscle, is often a primary cause of the increased jaw width and teeth grinding. 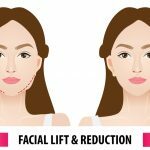 The injection reduces the size of this muscle and slims the lower part of the face, an additional benefit from the side profile is that the cheeks become highlighted, adding definition and contour to the face. Hyperhidrosis or excessive sweating is a disorder characterized by abnormally high perspiration levels mainly on hands, feet, underarms, scalp and face. The injections work by effectively blocking the chemical message from the brain to the sweat glands telling them to ‘turn on’ the sweat. As the message isn’t received sweating does not occur, however there is no effect on sweating elsewhere as it is a targeted treatment for small localized areas such as the underarms, hands or head. Crow’s feet are lines on the face that radiate outwards from the corners of the eyes. Crow’s feet are most pronounced when you work the muscles around your eyes, so their appearance is unavoidable when you smile, laugh or squint. This treatment will relax those muscles providing a reduction of wrinkles while maintaining a very natural, fresh and rested appearance. 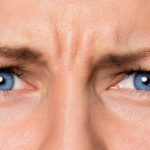 Frown lines are one of the easiest complaints to correct. 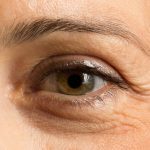 A few small injections will relax the over active muscles (the corrugator muscle) and, over time, reduce or eliminate the wrinkles. The effect should be a smother, relaxed, more refreshed and awake look. Forehead lines are associated primarily from our forehead muscles contracting when we raise our eyebrows. The frontalis muscles of the forehead contract in an upward direction causing the skin to crease. 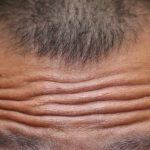 Forehead lines become more prevalent with age due in part to the changing volumes and elasticity of the skin. 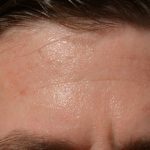 As with frown lines, antiwrinkle injections are the best treatment and often gives excellent results. These are essentially lines that come from scrunching up your nose and squinting your eyes. The lines on top of the nose are usually referred to as scrunch lines and the ones on the side of the nose are commonly called bunny lines. Two tiny injections are placed either side of the nose, resulting in a smoother, more youthful look. Often by softening (not freezing!) these muscles you can reduce fine lines towards the medial aspect of the under-eye area.